Compass families celebrated Halloween this year thanks to many donors who contributed costumes, held costume drives, hosted our costume distribution event, and helped at the big party. More than 400 costumes were donated! Zendesk generously hosted our Halloween party for the fifth year in a row! Compass families enjoyed pizza, arts and crafts, a magic show, balloon animals, face-painting, and of course, a lot of tasty treats! The costume distribution was hosted by the Yammer/Microsoft team for the fourth consecutive year. 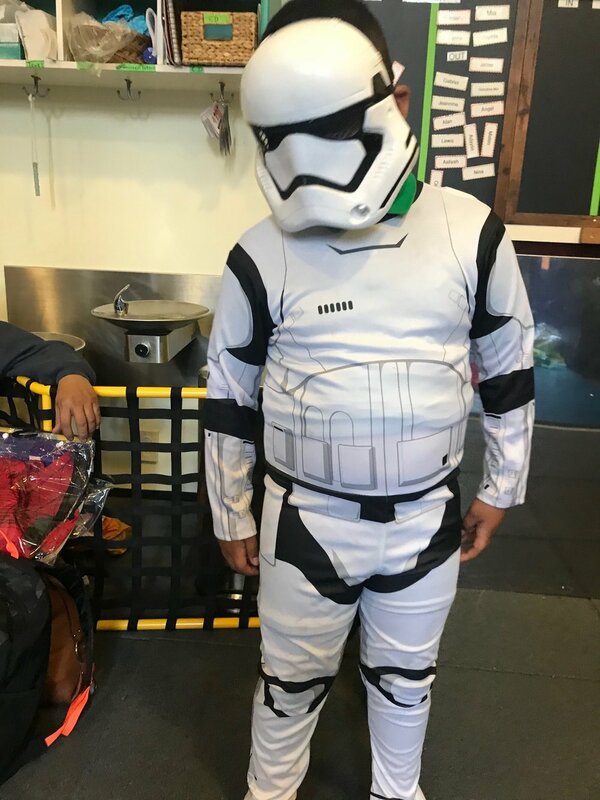 Microsoft employees volunteered, along with a team from Salesforce who helped set up the pop-up shop area complete with mirrors so each child could be sure to get their favorite costume.